Yeah you will be good with those pistons. I’m guessing this is for an RB6? Depending on the air temp, if the grip is med to high, 25/32.5 might be better. Yes, shopjtp.com can ship worldwide. Hi Jared, On the 3 gear set up, do use the aluminum idler? no, when I run 3 gear, I use the black plastic. Just started racing an RT6. I have it converted to a 3 gear and run the pack sideways. Its an indoor clay track with a similar look to SRS. Slightly less grip then SRS and extremely small and tight. My RB6 is very similar to your RB6 cactus setup minus the brass block and I am running a shorter rear link other than that, identical. So I started with your RT6 cactus setup and it feels like its not even close. My question is what hole are you using for the front shock tower. The setup sheet has two holes but the new towers are four holes. Also on the rear are you using a drilled hole more narrow? I have seen that in a few photos. I have very few packs on the truck so I haven’t played with much of anything set-up wise and figured I would make sure I am starting with the same baseline before I start chasing a set-up. Last question do you still run the quick change axle/tires? Seems like its additional weight, rotating mass, and unsprung weight.Can you switch the the SC6 axles and use a regular wheel? I run the 2nd hole from the inside on the 4 hole tower. I am running the standard holes in the rear arm. I have kinda fought the setup on the RT6 for certain tracks as well. I think it is a weight balance issue. I would try running a shorty sideways with a brass plate underneath it and have the battery all the way back. Then make the wheelbase a little longer. Yes I run the quick change. I’m not sure if you can use different wheels with the SC axles. hi jared I am looking for a starting point for my new zx6. hey jared, why do you run 5×1.35mm pistons instead of a 2×1.6mm or even a 3×1.4 in your sc and st at most of the recent races? what is the advantage? I have been trying different Pistons in my truck and SC. On higher grip tracks, I fight my trucks being very edgy, I run the 5×1.35 to try to make it easier to drive and less twitchy. Any advice for rear and front ball diff on zx6 ? Same tightening ? I always ran my front diff a little looser than the rear. I would run the rear similar to my RB6 diff setting. On the RB6 or RT6 changing the ball stud height on the rear hub is commonly changed on your set up sheets. I understand lowering the ball stud allows the rear of the car to roll more and raising it reduces roll. My question for you is: when should I run a 2mm washer on the hub and when should lower it to a 1mm or 0? Thanks and good luck at NEO this year! It really just depends on the track, I don’t really have a solid answer I could give you, sorry. Have a starting setup sheet for the ZX6 on carpet ? Hey Jared, do you have any setup sheets from club racing or practice at Fastlane? No I don’t, but I normally just run a very similar setup to my Reedy Race setups. I wanted to see if anyone has a mid motor sc6 setup for dry outdoor Arizona hardpack. The surface quickly dries leaving half the surface slightly dusty bumpy groove and the other half is semi swept dirt over hardpack. 6000mah stick and a 10.5 turn. I was going to try medium open cell inserts for some extra traction. It’s a sc6 setup mid motor for clay with dirt webs that’s coming wednesday. Seems like I’m building a unicorn but I’d like to try. Thank you. Hey Jared, what brand of titanium screws do you run on your 1/10 cars?? Thanks Pete. Jared, good meeting you last weekend at fastlane. Thanks for taking a picture with my son and giving him your autograph. You have a great son, I enjoyed meeting him as well! I was running buggy springs, that’s why I have more collars. Our truck geometry seems kinda weird, the springs don’t always have tension on them when the truck is off the ground, I was trying to fix that with the buggy springs, but they are too soft. Jared can you list the body/wing combo you prefer for your RB6.6, ZX6.6 and RT6.6 cars and truck? Sorry to bother you one more time…but looking for a good starting setup for an OUTDOOR off-road track for the ZX6/6.6. 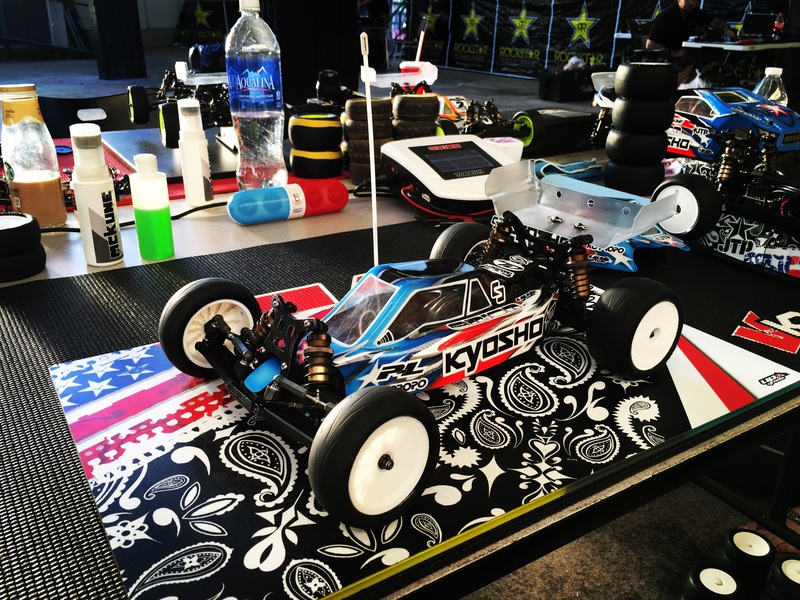 Tires we use are AKA Impacts and Pro-Line Renegades to give you an idea. Track is watered and is packed OK but soft dirt. Any input would be great as I can’t find a single setup to even begin with that is anything like this. 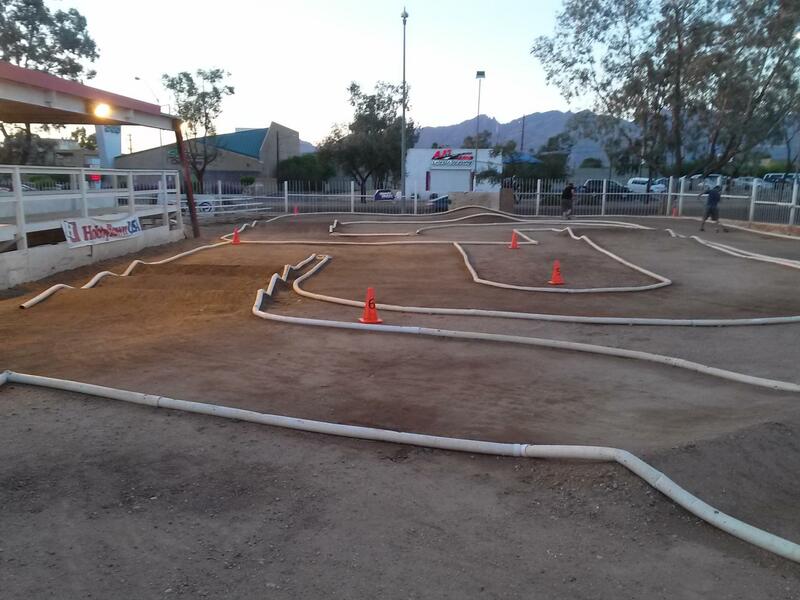 Not many moto cross outdoor off-road tracks left for 1/10th scale but again any help will be awesome! For your 2017 RB6.6 setup. I see you have 2×1.7 pistons..how did you get those? I couldn’t find 2×1.7 K branded pistons.